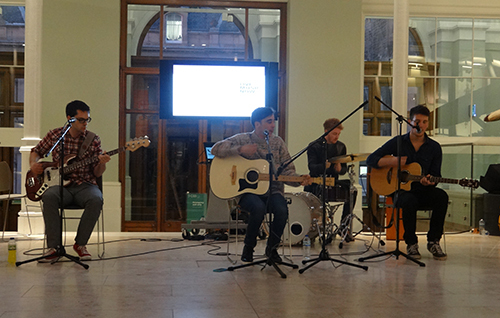 Day 1 of volunteering at National Museums Scotland and I had no idea what the next six weeks here would be like. I met Trevor Cowie (Scottish History and Archaeology Department) in the Arrivals Hall, and after a quick coffee we set off into the rabbit warren behind the scenes at the Museum. In October I had met Trevor at an archaeology conference in Inverness. I was volunteering for the conference organisers, Highland Council Historic Environment Team, at the time. I was looking to get more experience and could not believe it when Trevor thought it might be possible for me to spend some time at National Museums Scotland. Whilst the whole genre of Scottish Archaeology captivates me, I’ve always had a particular soft spot for the great ‘Atlantic roundhouses’: the Brochs of Northern and Western Scotland. So when I found out that the project chosen for me to work on was with the Broch of Gurness… well, you can imagine that I had a particularly large grin on my face. Although the excavated finds from this well-known Orkney site have been part of the national collections for many years, the detailed published catalogue had never been converted into an electronically accessible format, making accessing the information and managing the collection difficult. So there I was a few weeks later, ready to start. 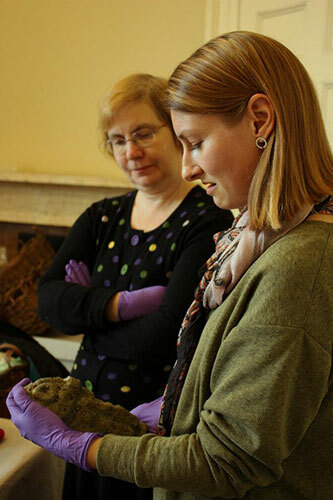 Whilst Trevor had agreed to be my Line Manager as it was an archaeological subject, I was to be supervised and guided by Jo Macrae (Collections Services). 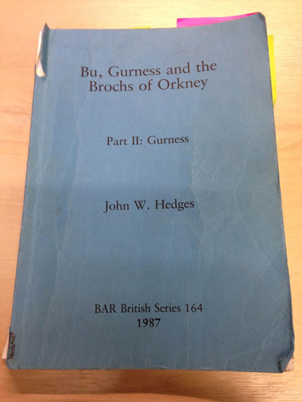 I was shown to my own desk with a laptop for me to use and presented with the sacred book that would be my life for the next few weeks: ‘Bu, Gurness and the Brochs of Orkney. Part II: Gurness’ by John Hedges. Maya’s sacred book: ‘Bu, Gurness and the Brochs of Orkney. Part II: Gurness’ by John Hedges. Jo had a spreadsheet set up for me ready to input the catalogue data. She showed me what to do, guiding me along as I started to figure out the system and soon had me racing through the catalogue as I got to grips with it all. Over the next few weeks I was welcomed whole-heartedly into the Collections Services team (and cannot thank you all enough for that) and got into a routine working through the catalogue. The Broch of Gurness really is quite a site; a complex series of stone buildings embracing the solid broch tower at their heart. It is thought to have been occupied from around the 1st to 2nd century BC, and was used on and off from then onwards through the Pictish period in the 5th to 8th century AD, and again by the Vikings around the 9th to 10thcentury AD. This long and complex history meant that a whole range of artefacts were discovered at the site: stone tools, animal bones and human remains, reworked Roman glass, bronze brooches, iron knife blades, spindle whorls, pins, rings, chains, needles, querns, pounders, grinders, gaming equipment… and lots of pieces of pottery, to name but a few. And let’s not forget the remains of an Orkney Vole or a Conger Eel. Two of the most elaborate and intriguing objects in the collection are the pair of oval (or tortoise) brooches, with highly decorative zoomorphic ornamentation, as can be seen below. Tortoise brooches found at the Broch of Gurness, Orkney. After a few weeks working away on the data, Jo and Trevor organised to take me down to the stores to have a look around. I felt like a little kid in a toy shop as every drawer held new delights. 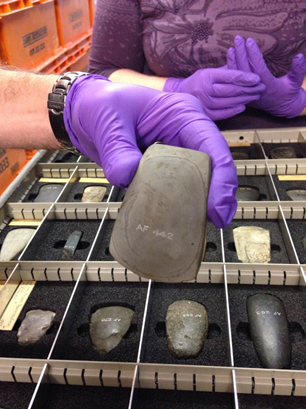 I was treated to trays full of flint arrow heads, stone axe heads, spindle whorls, pots, a log boat and we even hunted down some of the pieces from the Gurness collection that I’d been working on, including faunal remains and stone tools. I genuinely feel privileged to have had a glimpse into the vast stores of artefacts safely tucked away behind the scenes. 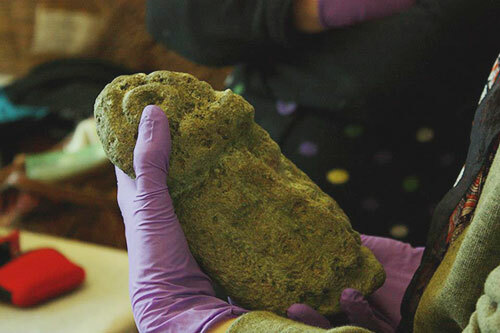 Finds from archaeological sites in Scotland. 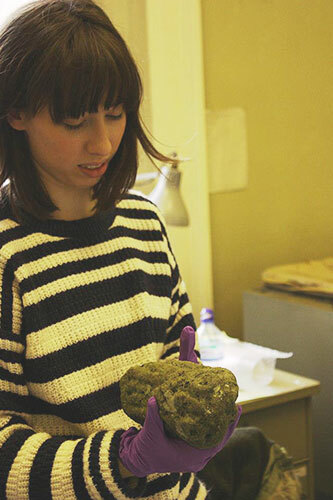 Maya investigates archaeological finds in our stores. Back in the office I finished off the data input with a good chunk of time left to spare. 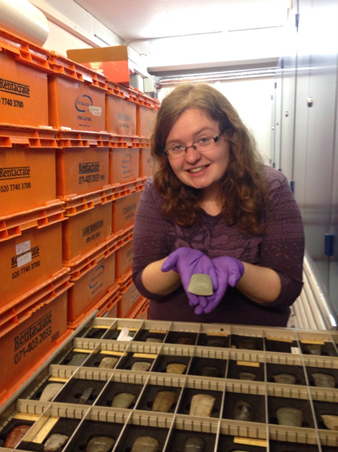 Jo kindly decided to show me how everything I had achieved could be integrated into the collections database. Once everything was uploaded, I went through the catalogue again and added in all of the dimensions to the 2,121 database records I had created. I only had a week left before Christmas. Jo bet me that I couldn’t get all the dimensions in before the holiday break, if I did she would eat her hat (or head, depending on who you ask). Luckily for Jo’s hat, I didn’t finish in time… However, it was a close call, as within two hours of my first day back in January, it was done! For my final week here, I am going to be getting some more experience working in the database under the excellent supervision of Jo. So far, I have learned a great deal about working in the museum, about the things that need to be done that I had never even thought about before. 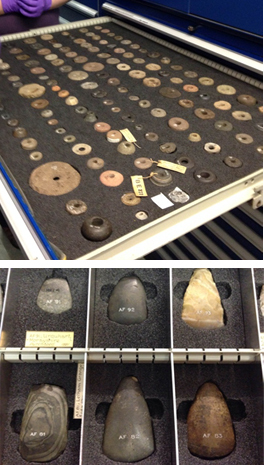 If you are interested in the Broch of Gurness collection there are a few items on display in the Early People gallery in the museum. These including: a bone die, two bone combs, a pinhead, a handled steatite bowl and an inscribed knife handle, amongst others. I have included a list of where and what you can find – so go and have a look! I just want to say thank you to everyone who has been a part of this and made it possible, I won’t forget it. 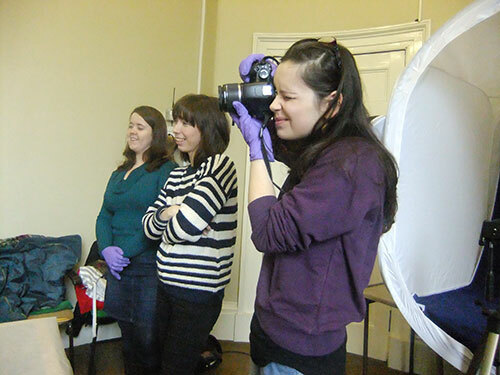 I have been a volunteer at National Museums Scotland for about five years now and work within the Science and Technology department; not at the Museum on Chambers Street but in the National Museums Collection Centre in Granton. 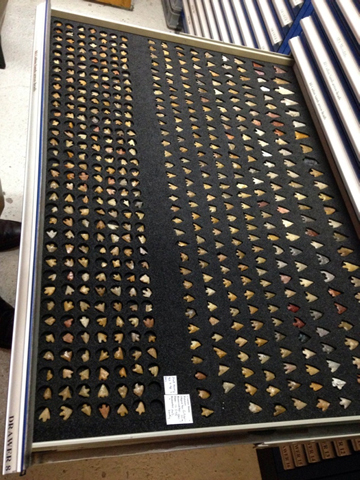 This in itself gives a ‘behind the scenes’ view of the museum and its collections. 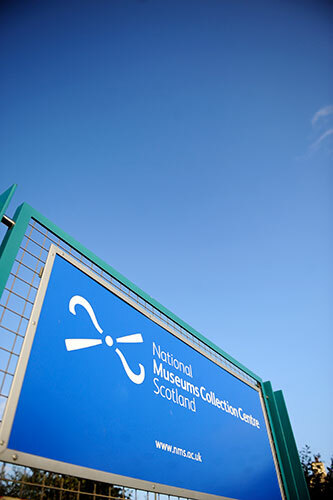 The National Museums Collection Centre in Granton. I thoroughly enjoy my time there and although the work, if described to an outsider, might be considered as repetitive and never ending as we are recording 19th and 20th century engineering drawings, it is far from that possible impression. The drawings in themselves are the working ‘patterns’ that were used to create many intricate machines, some very large machines (such as a machine for putting the pattern onto lino) and to see the detail to which all were drafted is incredible. Precision, clarity and attention to detail are viewed by us on each drawing we are dealing with. I find great enjoyment and honour to be one of a very few who can see these now and understand how they came about. I think I must have had some encouragement from my father, who was an architect and created plans almost free-hand to design houses using a beautiful set of drafting pens with ink on a large drawing board. But other than this main thrust of my current work and the S & T project to ensure the future safety and cataloguing of all drawings, I often do other things. This includes finding machines within Granton, identifying parts of machines and then locating the actual machine that they belong to in the stores, taking and returning items that need to be photographed and seeing and handling (carefully and with gloves on!) 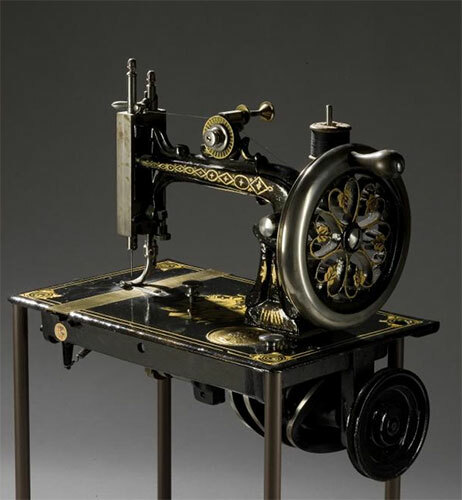 the first sewing machine to be made. Early sewing machine c.1846-1872 made by Elias Howe of the United States of America. Life is not boring or repetitive and when you come across an item that is the same as one that you also owned (as I have done), then perhaps that is the time that you realise that you are also a trainee fossil! It is fun and I love it, long may it continue. 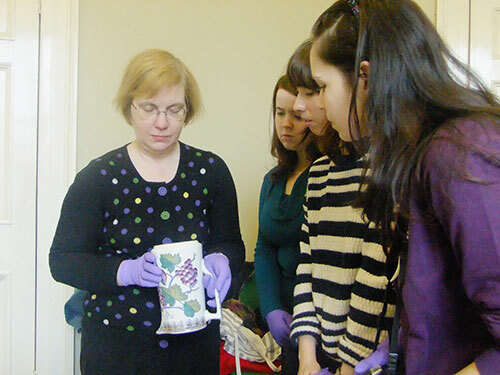 I have been volunteering in the Department of World Cultures for nine months, during which I have not only gained a wealth of invaluable experience, but also had a great time exploring collections, as well as discovering some colourful facts about the Museum’s history. Throughout my time in the department, staff made me very much at home, and I knew that my contribution towards the work of the department was appreciated. My first project was to improve the records of the Fijian collection, which entailed lugging old registers between Collections Services and World Cultures. It looked like I’d struck gold when I came across an entry for: “Trumpet of Triton shell with one finger-hole; double handle of plaited sinnet attached. “Used in the last war in Fiji.” ”’ although, on more sober reflection, the claim should perhaps be taken with a pinch of salt (the description of this object in the Index Cards omits any mention of its use in a war, and it could have been a gambit by a shrewd souvenir vendor). 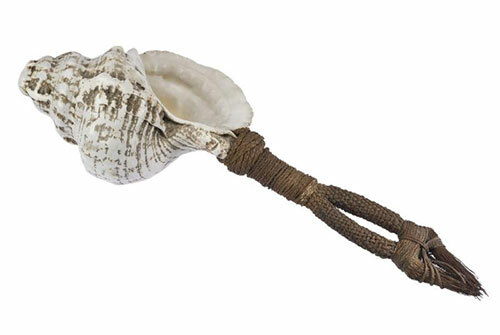 Trumpet of triton shell with one finger hole and a double handle of plaited sinnet attached. 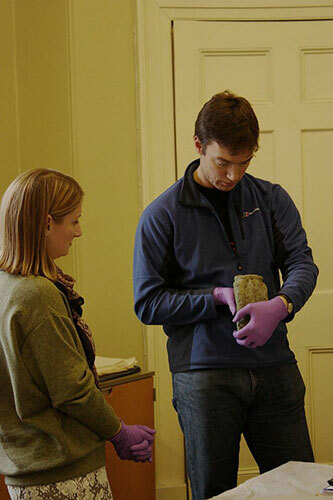 Other conspicuous differences between earlier and later descriptions of objects show a development in the way in which objects, and the people who made them, have been represented in museums through the ages. Some of the later entries are essentially duplicates of earlier records, albeit with slight differences, including the expunging of vocabulary such as ‘heathen’ and ‘idol’. Whilst these descriptons indicate a less than sympathetic understanding on the part of Victorian scholars, they do reflect the circumstances surrounding objects’ acquisition. Missionary organisations (of which by far the largest was the London Missionary Society) were among the key collectors of objects in the Pacific and elsewhere, and often brought home religious artefacts as trophies of a mission’s success. Having finished work on the Registers, I continued with a review of ethnographic collections, using the Museum’s annual reports, directors’ correspondence and scrapbooks as a mine of information, digging out whatever seemed interesting or relevant. 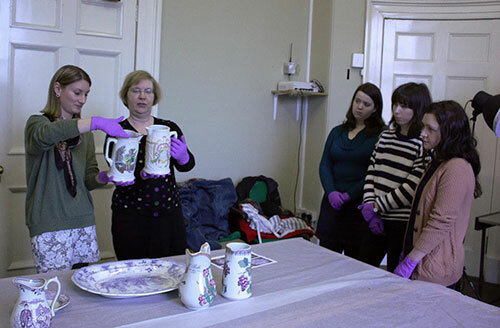 They give a unique insight into the history of the collections within the Museum. 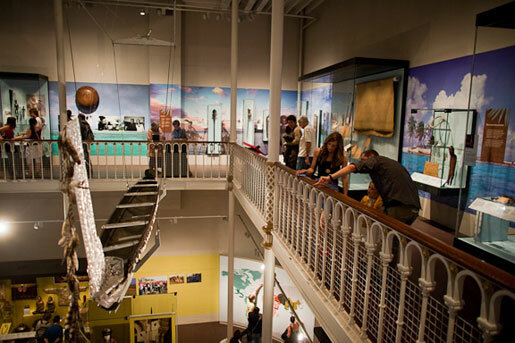 ‘World Cultures’ at National Museums Scotland can be said to have started with the transfer of Edinburgh University’s ethnographical collection to the Industrial Museum of Scotland (the first incarnation of National Museums Scotland) in 1854. 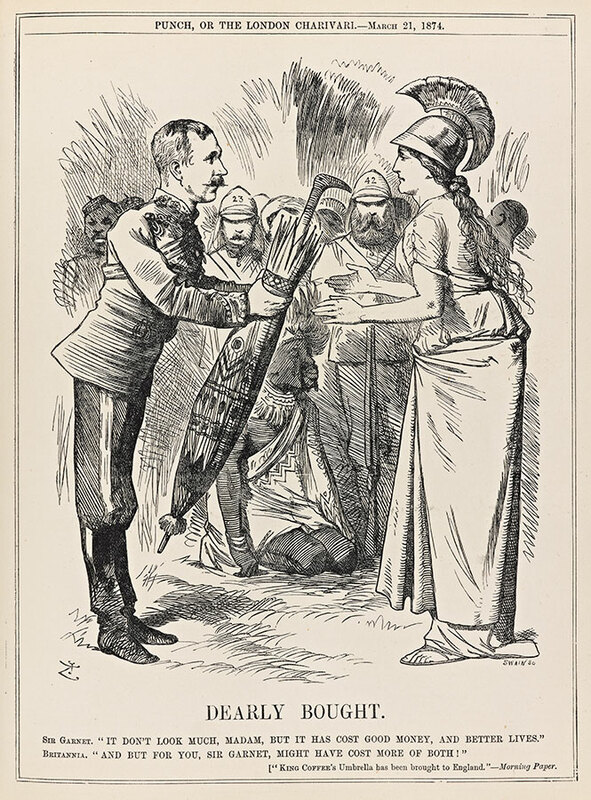 Illustration from Punch, 21 March 1874, showing Britannia presented with King Coffee’s umbrella. Click on the image to see a larger version. Courtesy of Jonathan Hodges. The Facing the Sea gallery at National Museum of Scotland. From this point onwards, the ethnographic collections had a home of their own, which has continued (in spite of hiatuses during the two World Wars) down to today. A further reorganisation led to the ‘Gallery of Comparative Ethnography’ in 1927, followed by a spate of temporary exhibitions, on themes such as ‘Meet New Zealand’, down to today, where Facing the Sea can boast of being the only gallery in the UK dedicated exclusively to the culture of the Pacific Islands. In February this year I was offered a unique opportunity to be involved in an exciting project initiated by the Science Museum in London, which aims to narrate British history through telegram messages. Whilst museums, when displaying the history of communication, usually concentrate on the thrilling machinery used to send telegrams, the stories that telegrams tell have remained largely unexplored. Constructing their new Information Age gallery, London Science Museum has decided to display not only the machines, but also the spectrum of messages that were sent through them. 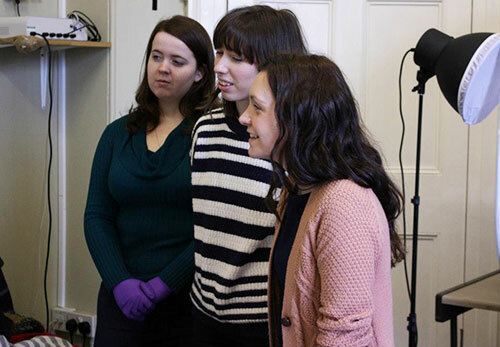 During the past few months, I have been involved in preparations to record telegrams not only for the benefit of the Science Museum’s collection, but also for the National Museum of Scotland. 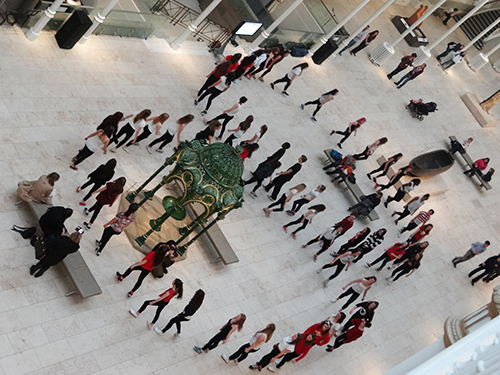 I am currently contacting local museums, societies and associations in Scotland which could help spread the word about the project in their communities. After establishing my contacts, I will invite people to bring in their telegrams, which I will then scan. People have an option to either donate the original telegram to either of the museums or to allow me to add a digital copy to their preferred museum’s collections. Doing business: telegram announcing the dispatch of a new addition to the museum’s collection in 1924. 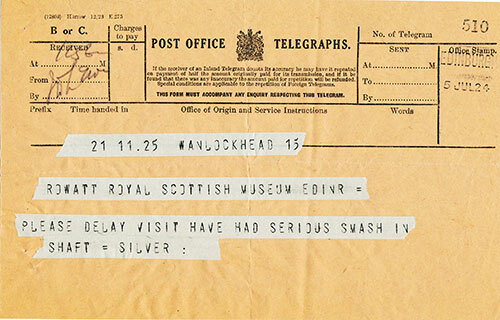 Telegram drama: a message delaying a museum visit to the Wanlockhead Lead Mining Company due to an accident in their mining shaft, also in 1924. 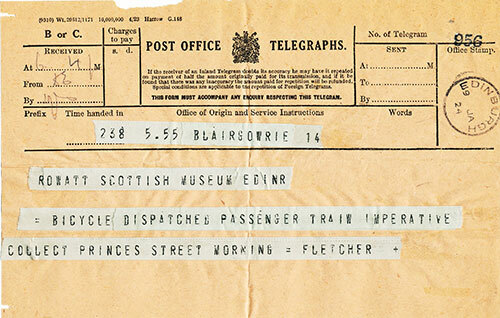 Although the official collecting campaign is taking place in July, I have already scanned some great telegrams brought in by the staff and volunteers of National Museums Scotland. I have got a flavour of British India in the 1890s, and experienced life in the roaring ‘70s via telegrams sent by a staff member’s father (a member of a rock band) to her mother (a Lionel Blair girl), both touring the country with their troupes. 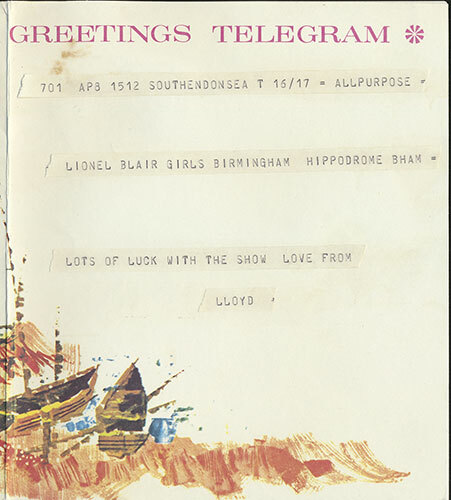 Sending love: message from Lloyd to his girlfriend, a Lionel Blair girl, sent in 1973. Some other telegrams, however, have more intimate stories to tell, for example, a grandmother announcing her arrival from France to help to care for a grandchild gravely ill with meningitis. Lending a helping hand: telegram from a grandmother announcing her arrival at Heathrow, 1976. “His mother died when he was based in the South of England and he had gone home to Aberdeen for her funeral. He was sitting on the train from Aberdeen back down south and… a group of lassies got on the train somewhere outside Newcastle and started talking to him. The next thing he knew, they pulled him off the train and he ended up spending the day at their work – a Newcastle brewery! They were brilliant lassies… he got free beer all day. He made it back to his ship but he cannae remember how…” tells Anna. 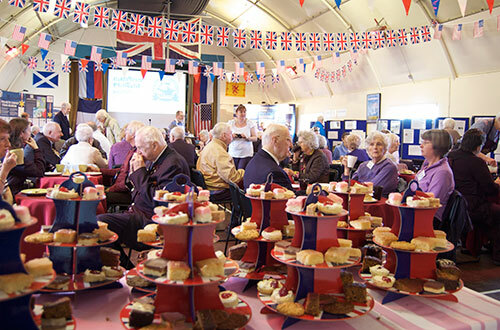 Telegram stories with tea & cake: meeting the Russian Arctic Convoys veterans in May 2013. Talking to the veterans and local villagers in Aultbea showed me how unique the riches can be that so many people hide at home! I am very happy that I can be part of unveiling Scotland’s telegram stories and I hope that people will continue to help me share their experiences, whether personal or wrapped in local or national history.